Just a few years ago, Julie Cassity saw a need and had a vision. Working as a music therapist for many years in Springfield, she was well aware of the struggle many faced to afford music therapy services. She decided to form a nonprofit with the intention of generating scholarship money to pay for music therapy services for individuals, and it led to the birth of Music Therapy of the Ozarks. Soon after, the organization teamed with the area’s largest sports fundraiser, the PGA Web.com Tour’s Price Cutter Charity Championship presented by Dr Pepper. Now, the two organizations are collaborating to host the areas first cycling and music fundraising event. The inaugural Rockin’ Roll Bike & Music Festival is scheduled for Saturday, Oct. 13 at the Missouri Sports Hall of Fame. 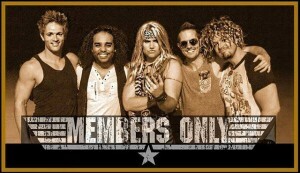 Not only will it feature afternoon bike rides of 40, 20 and 10 miles, but also an evening concert featuring the popular 1980s cover band, Members Only. It’s a fundraiser for Music Therapy of the Ozarks as well as the other 49 charities of the PCCC. Registration is at BIKEANDMUSICFEST.ORG. “We are so excited to be putting on The Rockin’ Roll Bike and Music Festival, making this vision a reality! We want cyclists and music lovers to come out and enjoy this inaugural event and help us raise money to help individuals in our community,” Cassity said. In recent years, Music Therapy of the Ozarks has applied its PCCC dollars toward scholarships, ensuring kids can attend the clinic and benefit from the powerful benefits of music therapy services. Currently, the scholarship fund is affecting the lives of children and families impacted by a variety of developmental factors including autism spectrum disorders, Down syndrome, cerebral palsy and various learning disabilities. Most recently, MTO has been able to grant funding to Cox Hospital NICU for work with babies in the unit. Over the winter, Cassity, an avid cyclist, approached the PCCC about creating a bike ride. That became a reality this spring and is approaching quickly. Rides of 40, 20 and 10 miles are set for 2 p.m., 3 p.m. and 4 p.m., respectively, on Oct. 13. The concert and dinner begin at 5 p.m. with The Shandies opening ahead of Members Only, who are scheduled for 7 p.m.
It’s $50 for an entry fee from Sept. 14 to Oct. 12, and $55 on race day. The event features kids and family rates – with those 12 and younger only $15, and a family rate of $100 (two adults, two kids under age 18). Adult cyclists receive a long-sleeve event logoed tech shirt, snacks, refreshments, and live music at rest stops, as well as admission to the concert, which includes a buffet dinner, two adult beverage drink tickets and complimentary products from Ozarks Coca-Cola/Dr Pepper. Not a cyclist? This event is for everyone! Concert tickets are available for $25, which includes dinner, two adult drink tickets and the opportunity to hear The Shandies and Members Only. Where: Starting & Ending at the Missouri Sports Hall of Fame, 3861 E. Stan Musial Drive in Springfield. Rides & Times: 40 miles, 2 p.m. * 20 miles, 3 p.m. * 10 miles, 4 p.m. The idea of a food-and-wine gala under the September stars – in order to fundraise for Ozarks children’s charities — came to longtime culinary professional Phil Daniels of Springfield and a select committee a few years ago. And, for Daniels, it was right up his kitchen, er, alley. 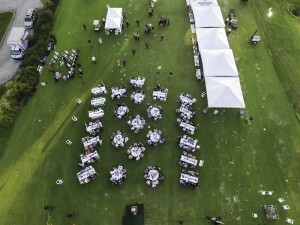 After all, savory bites by world-trained chefs and specialty cocktails on a picturesque setting of white-clothed tables, white chairs and white linens seemed the perfect way to aid charities of the PGA Web.com Tour’s Price Cutter Charity Championship presented by Dr Pepper. 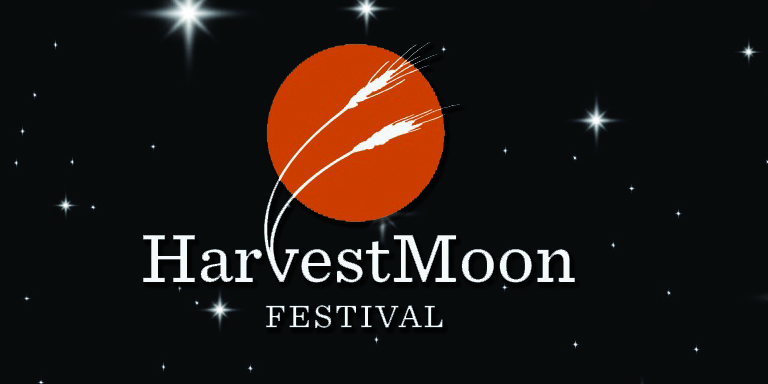 Now the Harvest Moon Festival presented by Reinhart Foodservice is celebrating its fifth annual event on Sunday, Sept. 23 on the driving range of Highland Springs Country Club. It all starts at 5 p.m., and Daniels has lined up chefs representing 12 restaurants, including a food truck. Tickets for the event are $500 a couple, or $1,850 for a sponsorship table of eight. The night includes silent and live auctions, and can be viewed through a smartphone at BIDPAL.NET/PCCCHARVESTMOON. All guests will receive a cheese & wine board, too, to take home. To sponsor your table, call 417-887-3400. The menu is derived from concepts that guests cannot normally access in the Springfield market. Even better, all items are “small plate” concepts so guests can sample new dishes without feeling overly full. Beverage offerings include great wines, local brews and specialty drinks hand-crafted Jennifer Pierson of Big Whiskey’s Bar & Grill. In essence, there is something for everyone. Participating are Daniels of Chateau Celine, Mike Jalili of Flame/TouchBlack Sheep, Mike Halbert of Highland Springs Country Club, Jerry DeMoro of Salvatore, Vito Palmietto of Vito’s Kitchen, Travis Meeks of The Order, Reinhart Foodservice Culinary Team, Elie Ghanem of That Lebanese Place, Andy Hampshire of Farmer’s Gastro Pub, Stephanie Holmes of Big Cedar Lodge/Top of the Rock and Clint Gray of The Finley, a new restaurant opening soon in Ozark. 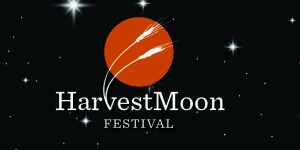 The elegance of the Harvest Moon Festival cannot be topped, if you ask those who attend some of the Ozarks’ other elite food-and-wine events. Dwayne Holden, owner of Custom Metalcraft, echoed those comments. He and Yarbrough also are key members of the Harvest Moon committee. “It’s done under the stars. It’s totally different than some place confined, in an auditorium,” Holden said.